Dance Studio Info – Paul Latta Dancers & Co.
24 100% perfect scores in National & International Competitions and over 1000 trophies, scholarships, and national titles with distinction! Want to learn more about Polynesian dance and culture, or just want to have fun and fitness? Come join us for the 2018/2019 season! We are celebrating our 48th year at the Paul Latta Dance Studios, an international dance instruction organization (est. 1971) and home of the Hula Halau Ma’e Ma’e Kapua o Kahala Polynesian and Hula School. 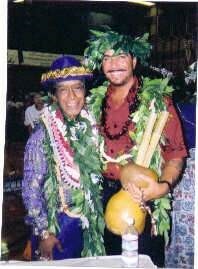 As the undefeated BEST POLYNESIAN/PACIFIC RIM DANCE STUDIO OF THE YEAR and National Polynesian Dance Champions since 1971, it is home to Tavai’s Polynesian Revues! Specializing in authentic, all-Polynesian dance and culture, and LIVE national and international performances (along with Tap & Middle Eastern Dance). Develop your professional and personal self with coordination, posture, grace, responsibility, organization, diligence, self-esteem, and motivation while participating in performances, festivals, competitions, movies, cruise ships, international tours, employment, careers, or just fun and fitness! We offer classes in Surrey, Vancouver, and Richmond on multiple days. Ages 3+ and all genders! Please visit our Classes & Workshops page for more information and locations!